Strap it like its hot Boom juice bra. I hope it fits more like the printed ones vs the black one, which fits so much smaller. You know, I always see way more to buy in your upload blog posts than when I'm looking at the Lululemon site itself! I have a question, tho: I know they won't ship an item from the Canadian website to the US, but if I can a store in Canada, will they ship me (in the US) an item from their stock? Same as you but the yogi tank in black. I'm tempted by the pleat to street but we seem to have already passed winter in LA so there's no point if I can't wear it for 10+ months. Did you get the yogi in your TTS? I wasn't sure if it was a size down item so I went with TTS. 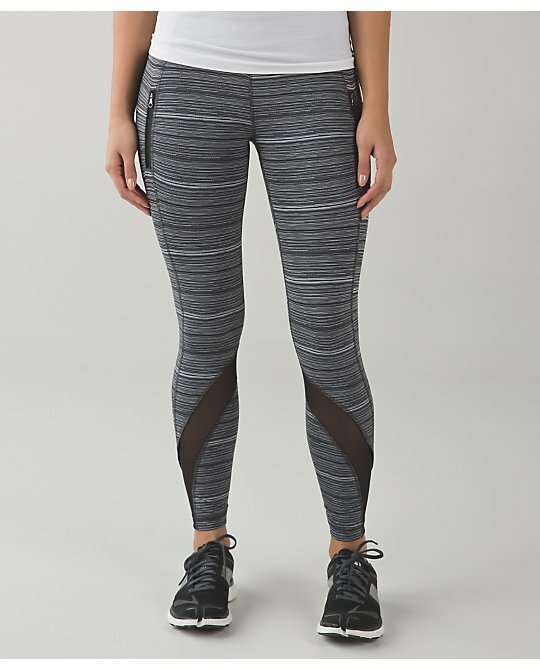 Nothing yet for me but my local Lulu got the yogi racer back tank and the pleat to street hoodie..both on my list :) So I'm going to grab them in store..Also really interested in the lullaby space dye twist wuc and power Y.
I can't wear my older black leggings ever since I got my black aligns. Figured it was time for a second pair. I would really appreciate it if someone has any intel on the long sleeve dress. I am not sure if i should stay TTS or size up. I like the more relaxed fit it has in the black on the model vs a more fitted look in the navy. I would greatly appreciate any info that anyone may have as to the fit of this dress. I wish I lived near a store! I think I may have lost my mind bc really...$148 plus tax for what are basically casual pants is absurd, but I ordered those &Go City Trek trousers to try. What I really wanted is the Fast Track hoodie in more colors, but it seems that isn't going to happen. I also liked the pretty blue space dye twist Power Y that Canada got...maybe we'll get it next week. @Amy C - Lol. I am a terrible enabler. I don't think Canadian stores will ship to the US but I guess it can't hurt to ask. @ anon 4:06 pm - I ordered my TTS. I know it's in US stores now but I haven't tried it on yet. It sold out so quickly in Canada I wanted to order it to make sure I got one. @ anon 4:06 pm - I ended up returning the Rain For Daze jacket because of the same reason as you - it looks like our winter might be over and I won't get much wear out of it. It was $192 with tax and I really couldn't justify it. Nothing for me, the Canadian upload is bad... could be saving it for the spring release. Fingers crossed. Really dislike the &Go stuff - it all looks so gross. Would really love to see more Define Jackets and CRBs in lots of nice solid colours. I have the &Go everywhere LS dress, and bought it in a size up. I did not try my TTS but am happy with my size up as it skims and does not cling. I like Boom Juice and the Space Dye Minty Print. The &Go On the Go LS has potential. Other than that, none of these items appeal to me. Just like BrownCow said, unlikely they will ship to you. Whole host of issues, two warehouses (Canada, US), duties, tax etc. If they did allow it, believe they would already provide this option online. Nice to see stripes lining up again on pants (and seems certain now no more dumb model "action" shots and/or unclear, obscuring photos of the clothing). Seriously though, if the &Go stuff was from somewhere like Walmart, and not Lululemon, would everyone still be feeling the same about it? I'm always truly amazed at how many really like this stuff... I wouldn't want any of it even if it was free. I called store in Toronto and had them ship item to Vanc BC. First they tried to charge me $10 shipping, but I told them shipping is free in US and they didn't charge me. @ anon 6:24 pm - I've liked very little from the &Go line. 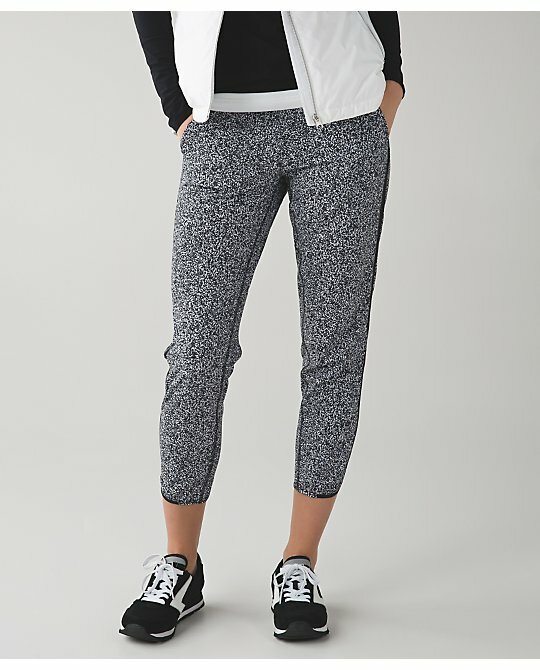 The new &Go On the Go short looks like it was made from scrap fabric. Too many of the designs look like they were done by interns. Amy C. you could ask a Canadian angel to get the item and ship it to you! You would have to pay shipping! 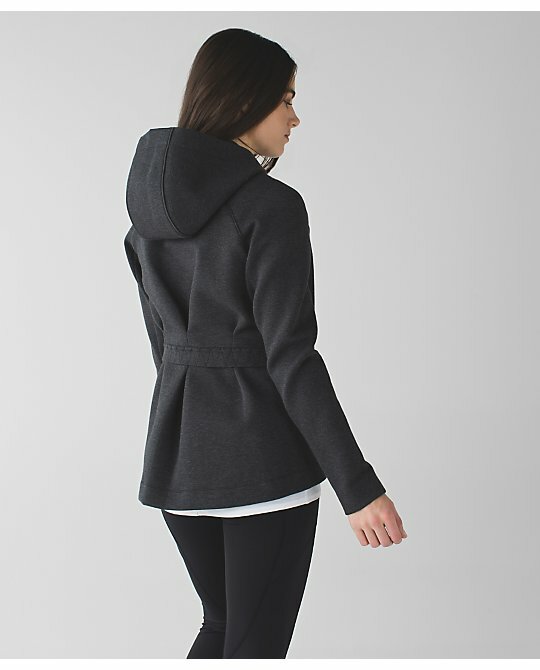 There is a site in Facebook called Lululemon Angels! Strap it like its hot bra..love them!! 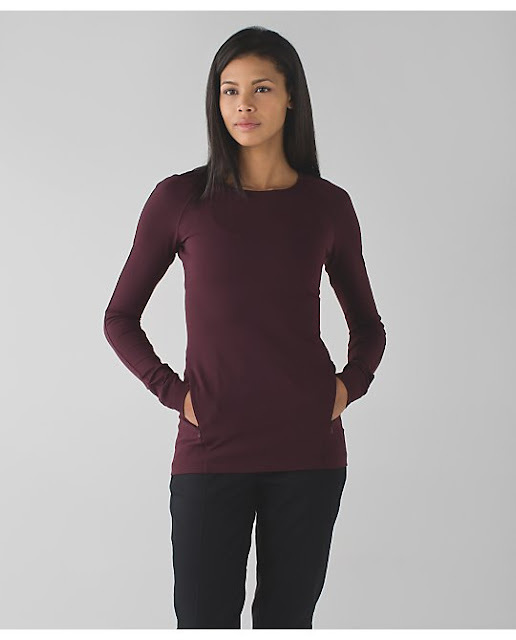 I am dying for the rest less pullover in pink that Canada got weeks ago. May have to look up the Angels group on FB! LOVED the two jackets (Pleat to street & &Go Skyline); Both were at my local store so I tried them on and went with my normal size. I could have sized down in the skyline but I like to layer. I really liked the tailoring of the skyline that I wanted BOTH colors. The Yogi Racer Bank Tank ran big on me and I sized down. I love the color but I don't know how often I would wear it so I went with the solid black. @Kim, @Lululover, and @ Anon., @BrownCow and @LuluAddict--thank you! 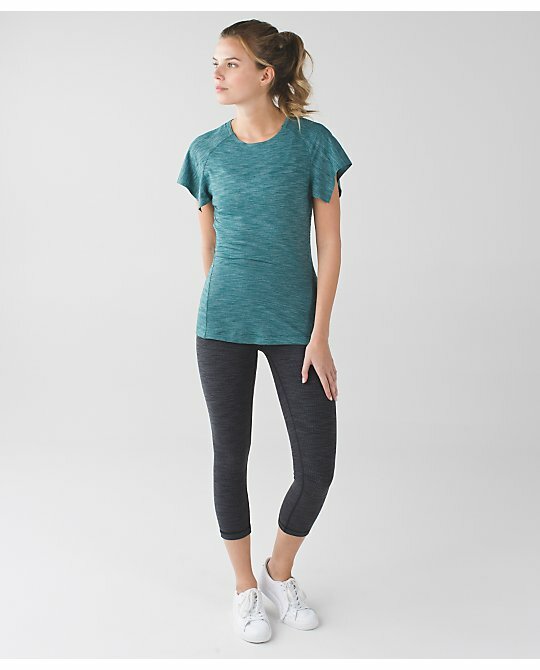 Did the US get a new color in the Align pants but they already sold out? I see Canada has a navy and new green color that are really nice. Hoping the US will get these. Also the &Go Take you there wrap is already sold out in the light grey online? That was fast, hopefully I can find in store. I don't know that our winter is over here in the L.A. area - typically our wettest months are February-April. Still, the Rain For Daze wasn't worth the price tag IMO regardless of whether or not winter is still coming. More on this upload than I thought I would like. Boom Juice sculpt tank I definitely want. Those two &go long sleeves I definitely want to try on. The interval LS looks like a backwards 5 mile ls. Me too! So pretty. Why did we not get that?! 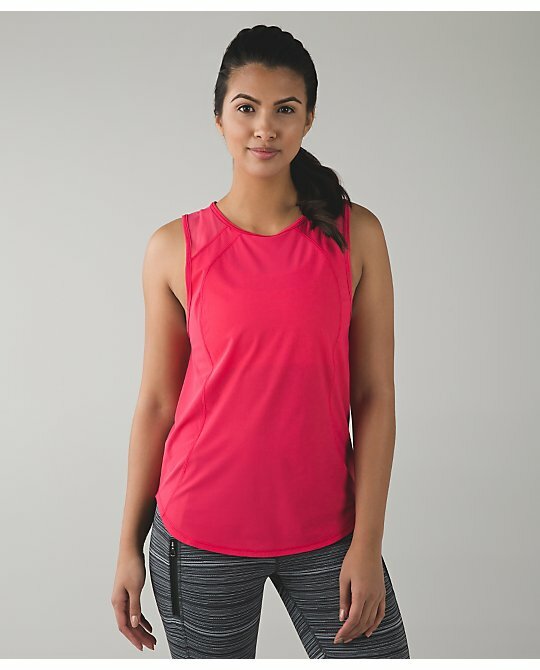 Would love to hear how the new yogi tank fits compared to the old from those who have ordered or tried it. Anon at 4:55- That long sleeve dress fits mostly TTS. I bought it to try on in a size 10. I did think the shoulders were a little wide but if I sized down it may be too tight in the hips. Also where do you see navy??? I have been waiting for that color!!! I got the SILIH bra in boom juice. Totally agree Anon 6:24! Lululemon does not have a haze over me. My eyes are wide open. I could care less about the brand if the clothes are crap. Also, I don't need the logo to 'show off' my style. 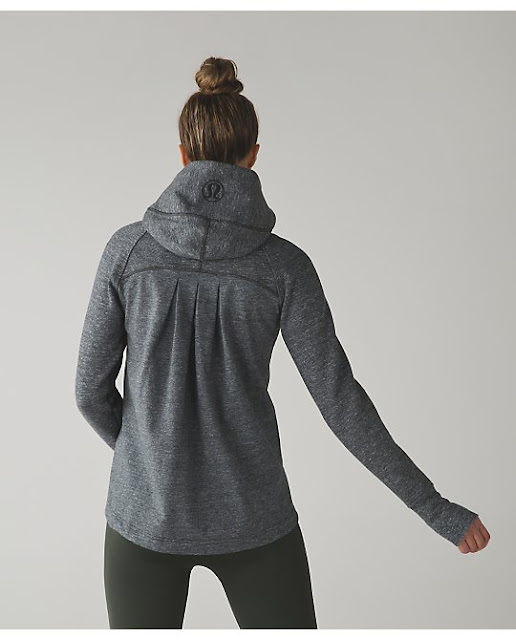 Lulu lovers know their Lulu regardless of logo placement. Unless you are a super stealth outfit creator, this weirdo stuff is simply that. Weird. Yeah, that Rest Less PO in Berry Rumble is my 2015/16 nemesis. Why Lulu has to torture the border is beyond me. We should be one North America. This is BS. I don't think so, but I'd be sad if I missed Inkwell. I've been waiting for navy and deep charcoal. Grr. Haha! Me, too! No more planning my schedule around upload. Almost everything these days makes is to WMTM. The things that sell out were probably only made in like 500 like the Pistachio CRB. 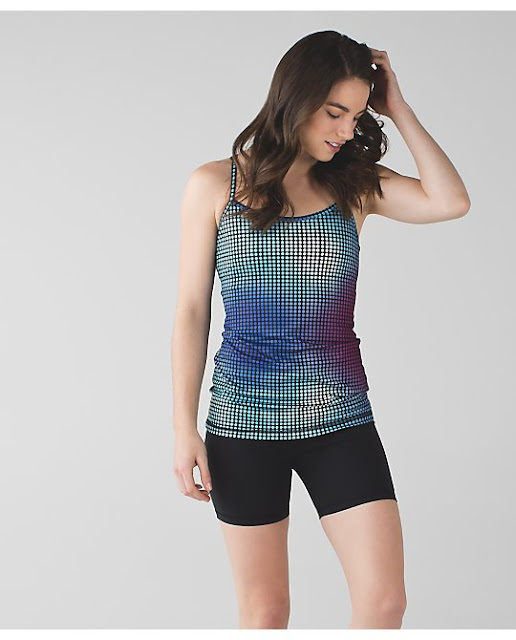 I bought the yogi racerback in the pink minty space dye in my TTS (I probably should have gone with my size down, but oh well... would rather have it be a little loose than tight under my arms (muscular back problems, ha!)... also picked up the lullaby/ray space die twist WUC. Hoping the pair I'm sent has stripes that line up! Just thought I would add for all of the ladies "needing" the blooming pixie multi WUCs... they are in some US boutique stores! I just ordered my own pair out of a yoga studio in Savannah! Has anyone tried the &go Take You There Wrap? I actually like it but I'm unsure if it's TTS. Any help would be appreciated. Thanks! to anon @ 4:27 - Thanks for your response regarding the fit of the long sleeve dress. Canada had it uploaded in the navy and black yesterday. I have read that they are already in the stores but I am not near one. I appreciate your input as to the fit. I am a TTS 6 but I don't want the dress to be really tight. The online photos of the dress show different colours on different models and the fit looks quite different. I prefer a body skimming look vs tight. I ordered the navy in a 6 and 8 and will see how it goes. Grabbed a yogi racerback in the pink minty space dye. Interested in a few of the jackets and wraps that have been showing up, but wouldn't those have been nice to get in fall and early winter? I'm waiting to see what floats over to WMTM and hoping to grab one on sale. picked up the strap it like it's hot bra in boom and black ... I actually wanted the black without the reflective dots, and of course no one in the store had a clue. they were trying to find the bra in another store or warehouse using the tag from the bra with reflective dots instead of the one without. I was too frustrated to help them! I don't plan on wearing it completely solo, but just wanted the plain. I like the bra enough that I'll buy a plain black as well if I find it.